What are vision and mission statements? Have you ever really thought about them, or is this just another lot of marketing? I used to think so and didn’t pay them much heed. More recently I have been in discussions with a friend of mine who deals with many corporate businesses. He asked me about my vision and it was difficult to reply. I know what I am about but how do I tell somebody else? If it is difficult for me to articulate this, am I really getting my point across to my clients and my team? So, I began to think about it in earnest and here is the result. Vision: As a team of dedicated veterinary health care professionals we openly explore all opportunities in our worlds. Using integrative healing methods we aspire to find unsurpassed, individual solutions best suited to all. We are committed to quality of life for all our companions. We achieve this through physical rehabilitation, pain management, education and community support. What does this have to do with me, and you? Let me explain. First of all, if you are a patient it means that I will give you my absolute best in terms of finding a solution to your ailment. I do this by drawing on my knowledge which I have accumulated through years of study. I still continue to read and learn – in this field and others. Then, I use my experience which I have gained through trial and error. Each patient I have treated, both in conventional practice and rehabilitation, has contributed to this store. You, as a patient, will also give to this vat of experience. I also rely on my intuition, my gut feel. Is this scientific? Not according to current articles and papers, but it has saved countless animals and people. Finally, I gather my intention. Foremost is the absolute desire to make my patient feel better. This intention is held in love. By holding this space we allow healing. Put all of those together and I believe we have “the art of healing”. I think the ‘art’ has been lost in modern medicine but that is a topic for another day. Secondly, if you are my client – the guardian of my patient – I offer you this: A space in which you may safely voice your concerns, fears and emotions. I have ears that listen, not to formulate a reply but to ascertain your needs. I give you honesty and integrity. If I can offer you a solution or a plan then I will set it out. If I do not have an answer, or the problem is beyond my knowledge and skill, I will do my utmost to find the information or refer you to the person/facility/profession that I believe will help. Thirdly, if you are a team member I welcome you to join in my mission. For you I offer the space in which you can explore your talents and abilities, and use them ‘for the greater good’. I ask of you to hold the same space for me and the other team members to allow us to be the best that we can be. The foundation of this space is intention. Each team member brings a unique energy to the patient, the client, and the other team members. So, patients, clients and team members are intrinsically linked. Our intention is to facilitate healing in patients, guardians and ourselves. All interconnected, all rippling out and touching others, all with the greatest of intention. So there I am in 2007, 27 years old, married for 6 months and our first “purchase” as a couple is running around the garden….with pieces of my hosepipe! Miller is now seven months old and as any Labrador pup full of live. I look at him and cannot help but smile! In the 4 months that we’ve had Miller he has drastically change our lives. He has provided a bond between myself and my wife and makes our home feel like what it is….a family! Whilst smiling at my wife and laughing at his antics we notice however that Miller seems to be limping, slightly favouring his right side. Anyway after three weeks the cast is removed and he is X-rayed again. No improvement. I leave him for a few months and at just over 1 year old I take him back to the vet as the story repeats itself. This time after removing the cast the Doctor says she is out of options and refers me to a specialist in Randburg. So off we go, full of hope still that they will help our boy! Now the words that stick in your memory…. I’m stunned and the whole way home I’m choking back my tears…How can I save my Best Friend? That evening after discussing the issue with my wife we both agree that we are not keen on surgery as we cannot justify putting this bundle of joy through so much misery. There HAS TO BE another way! We search for the next few months and just by chance my wife listens to a radio interview with Dr Tanya Grantham from Animal Health and Hydro. Little did we know of the significance of that moment…? My wife phones Tanya and schedules an appointment for Miller. On the day we show up Miller is all fun and games as usual but my stomach is turning. What if this does not work…? Dr Grantham assesses Miller and agrees with all her colleagues findings, except the fact that she says we have a chance to help Miller! So we start swimming him diligently every Thursday at 4pm. Soon I no longer refer to Dr Grantham as such, but simply as Tanya. A friendship starts to develop between her and Miller, and between her and us as a family. After six months the difference between the diameters of his front legs has drastically decreased. He is limping less and less now and he is full of life as usual. So we’ve made it to 2 years with no operations, pins or cages…what now? 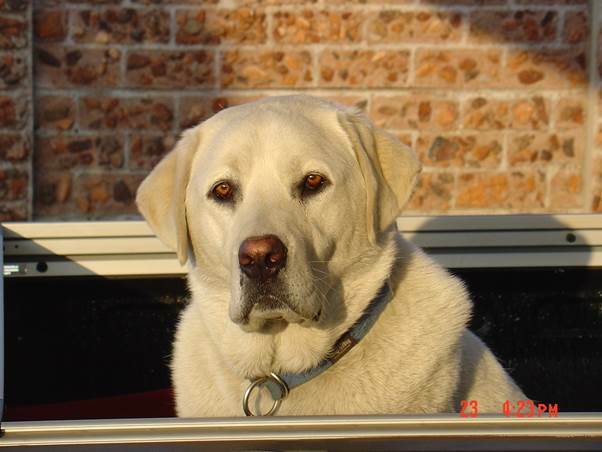 Well if you want to meet Miller he will be at Animal Health and Hydro on Thursday at 4pm, as he has been for the past six years! He is still my best friend and at the age of nearly 9 years old he has been with me and my wife on vacation a couple of times, through all our hardship and most importantly through all the joy and my prayer is that it stays this way! I can honestly say that Tanya saved Miller’s life and in so doing gave me and my wife some of the best years of our life together with Miller and his little “sister” Minki (but that’s another story). So Thank You Tanya for giving us hope, for your friendship, always giving us good advice and above all for giving us time! 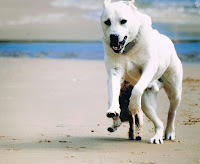 My move from conventional veterinary practice to animal physical rehabilitation was based on many factors. A decade ago I was faced with some serious health issues which precipitated my decision to sell my share of the veterinary practice in which I was involved. It became apparent to me that not only did I need to reduce the number of hours physically worked, but that I also needed to better manage my emotional involvement in my clients and patients. 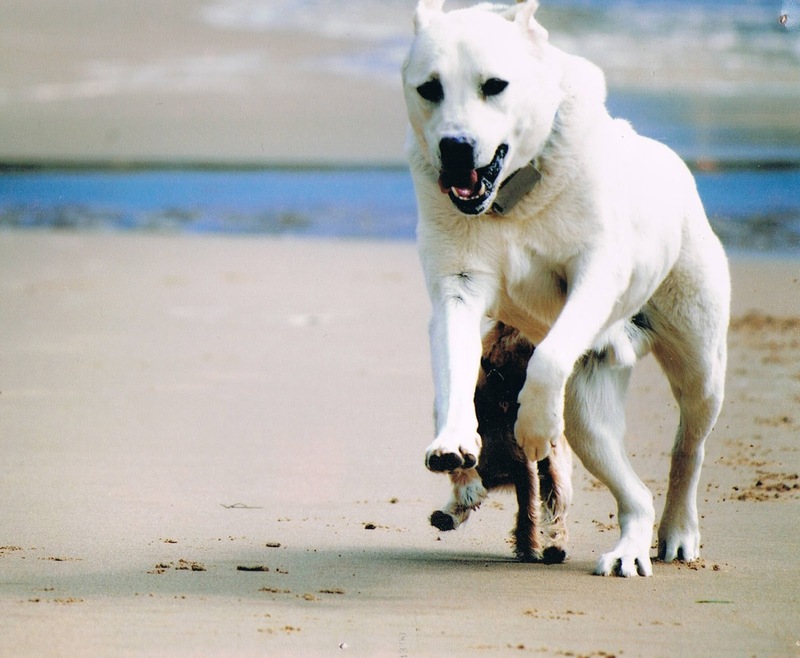 The emerging field of animal physical rehabilitation caught my attention and I began to investigate further. 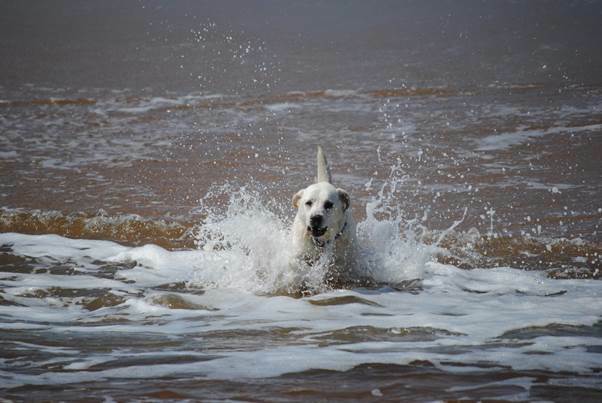 As vets, we perform complicated orthopaedic procedures on our patients every day, but when it came to the recovery process, there is a surprising lack of alternatives. Following injury, humans visit a physiotherapist as a matter of course but with animals this option is not available, and as a result, the outcome of surgery is compromised. Sometimes, we are drawn to options for reasons that end up having only some of the reality we expected. 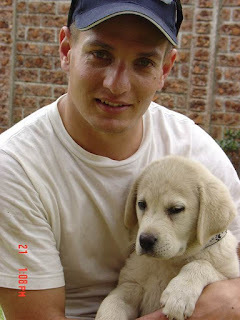 My original journey into rehab was based on a belief that there would be less intimacy and emotional engagement than with my conventional veterinary experience. Needless to say, I was mistaken in my anticipation of the two-way connection that would arise between me and my animal patients and their human families. Which brings me to my chosen patients for this story. 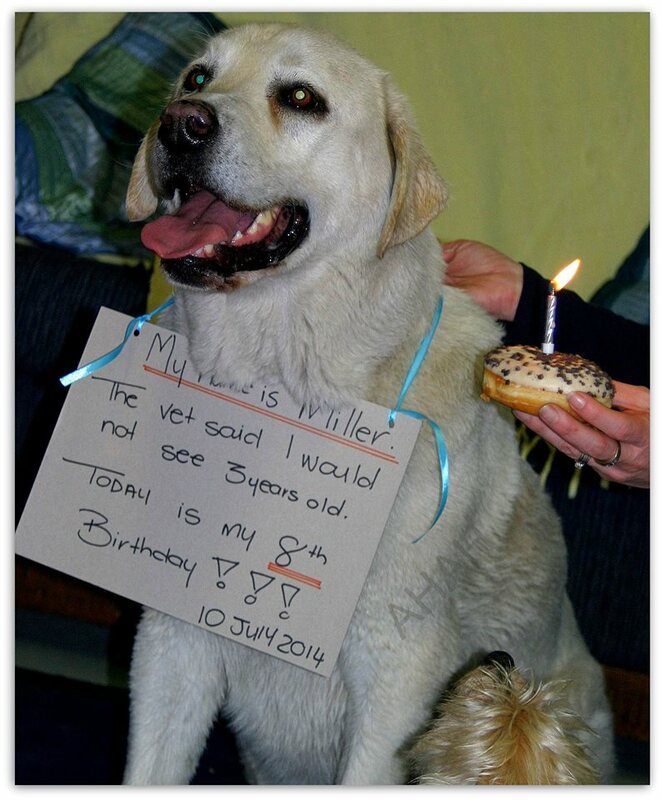 When Miller’s fifth birthday was imminent, he was still incredibly healthy and limp free! 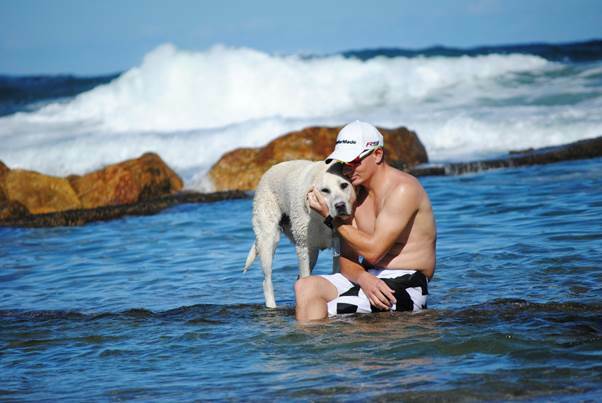 Bennie and Lindi decided to take the family to the beach. 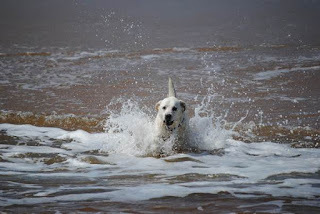 Upon their return I was presented with a photo of Miller running full tilt along the beach. What a fabulous celebration! Miller is now going on for 9 and still as strong as an ox. 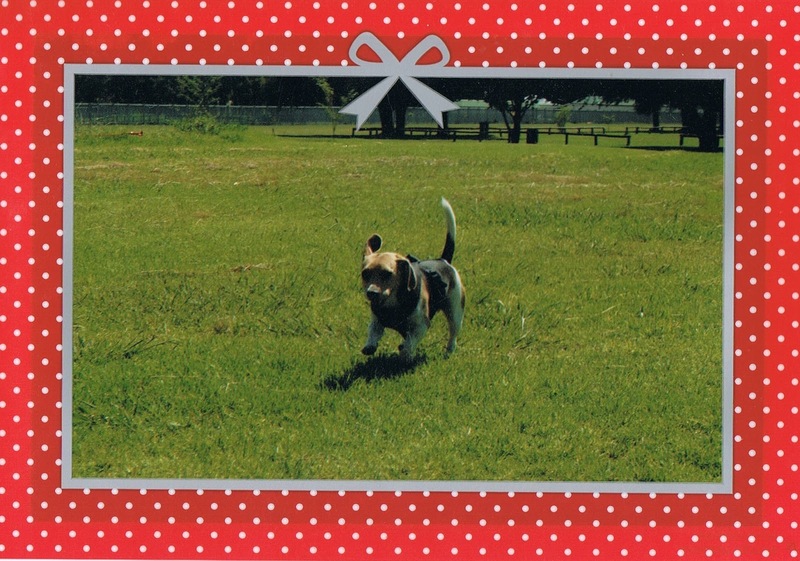 Obelix is a Beagle who was diagnosed with angular limb deformity in both of his front legs. This required numerous surgeries (which involved cutting and plating the bones) in order to straighten the legs. He came to me for post-op rehab and strengthening. Obelix is such a giving and gracious patient. We progressed well but a few months into his program he started to limp on one of his back legs. X-ray photos revealed bilateral hip dysplasia! This was bad news for an already physically compromised dog and all the more reason to continue with a physical therapy program. Obelix’s ‘parents’ are brilliant in their unstinting care for him! They have researched and undertaken as many options as they possibly can: he has undergone stem cell therapy; he visits every 7 – 10 days for an exercise session; and he is walked with his siblings on a regular basis. More recently he developed back pain because of compensatory movement patterns which we have been able to control with acupuncture. 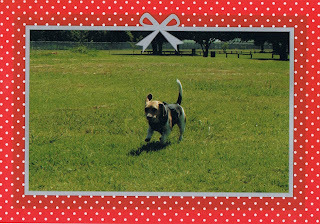 I was delighted to receive a Christmas card this year from Obelix and his human family. On the front was a photograph of Obelix exuberantly racing across a field. The photo was taken a just week before. So often we choose a path (for reasons that seem compelling at the time) and often, reality turns out to be different from what we anticipate. Instead of protecting myself with emotional distance, I realise that I am an integral part of the lives of my patients and their human companions. I have also realised that it is a two-way street. As much as I am vulnerable to feeling their pain and loss, I am also blessed with their joys and successes. I am humbled by their devotion to one another. I am in awe of the beautiful beings that I treat. I am truly grateful to have them in my life and I wouldn’t change any of it for anything in the world!